Have fun shopping...spend lots of money...tee hee!! Today is a whirlwind for me... so I must hurry. It didn't help that I slept until 6:30 am. (very unusual for me...) I woke up and saw the time and flew out of bed. 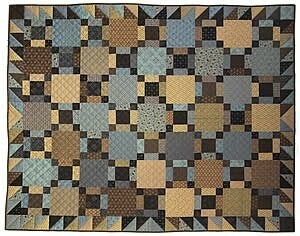 I wanted to post some patterns I just ordered from my friends at Backdoor Quilts. 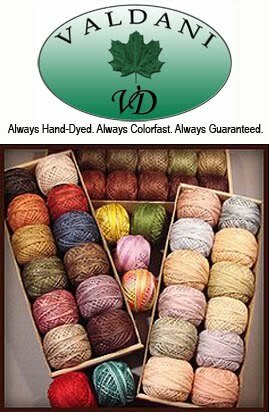 Backdoor Quilts Website We used to do shows with them and they are "oh...so... wonderful" gals! 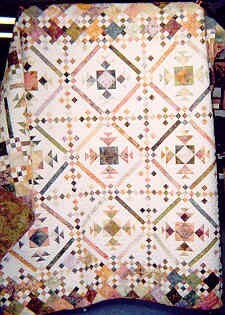 This one is called Auntie Gram's Quilt ! The pattern comes in all sizes... now I know I could make this without a pattern... but sometimes it's just easier to have the directions right in front of you. Plus... it gives you multiple ways to do the border. Then... this sweet thing... it's called Cozy Catch All and I'm going to make it so we can all work on the project in our B-a-a-a-d Girls Club. 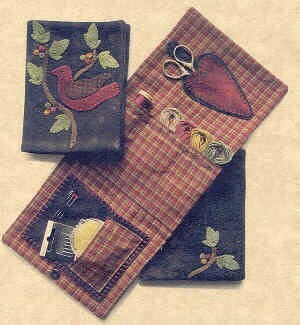 Isn't it adorable... who wouldn't want to keep all of their sewing notions in this wonderful Catch All. Here I go with lots of little pieces again. I just can't help myself. I love them.... This is Summer Romance. It will take all summer to make it... so I will surely be in love with it when I'm finished. Check out the border....... OMG!!! Yes... girlfriends... I'm IN LOVE!!! I can't wait until the arrive in the mail!!! Look at this cool idea... now I don't have any little ones.. but I just thought it would be great to pass on to you... for our grandchildren!!! The photo description said this was part of an oil pan??? I think for an automobile... they've attached it to the wall and then put alphabet cards on it... then all of the little magnets (alphabet) will stick to the pan! 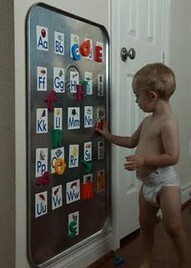 What a great way for kids to learn their alphabet and words. Don't you love it? Well... then... I thought... why don't we use something like this in our sewing rooms... as our "idea board". You can buy packages of magnets at the craft store... glue cute buttons to the tops of them... then you have cute button magnets to hold up your ideas. I think it's a genius idea. I even have a wall in my office where one will fit. YIPPEE!!!!! Now... to find the oil pan!! I'll bet if we asked at one of the car part stores they could lead us in the right direction. Then... this... was adorable too. 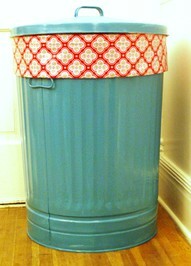 They've taken a simple metal garbage can... made an adorable fabric liner... painted the can to match the room... and it's now a hamper!!! Don't you love it? What a great project for in a kids room. Take the clean clothes back to the room in the liner... put them away... put the liner back in the can! Bing-bang-boom!! All done! LOVE IT!! 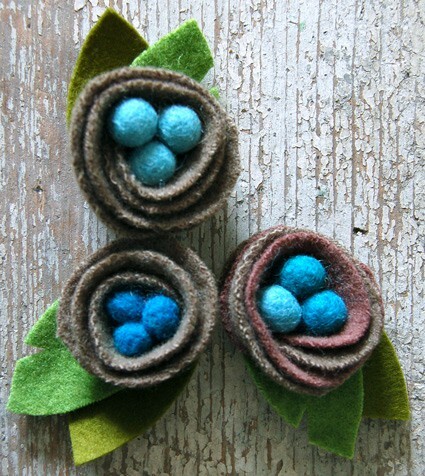 I thought I would give this a try for a "make-it-take-it" wool project!!! it's a PIN!!! 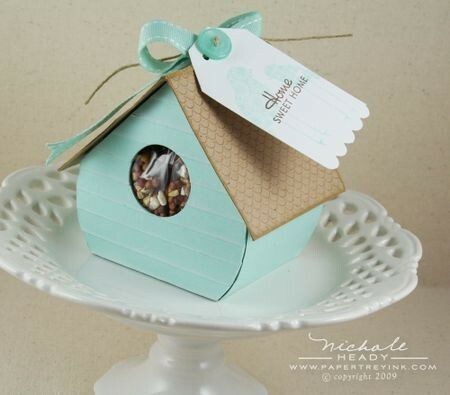 Wouldn't it be cute for the kit to be packaged in the birdhouse? I can't wait to give it a try... Keep your fingers crossed I can make this happen. Ok... I'm sorry to cut everyone so short... but I have to hit the shower... drop stuff off at my daughter's house, time for nails and toes... then pick Jack up and meet some friends for lunch...then back home to make some YUMMY .... strawberry cheesecakes for this weekends B-a-a-a-d Girls Club!!! Chow.... catch you on the flip side! Oh... by the way... I'm over the "organization thing"... I've just decided to work on drawers and cabinets as I have time. I'm just too dang busy to get anymore organized than I am. So... you're on your own chickies.... tee hee!! !